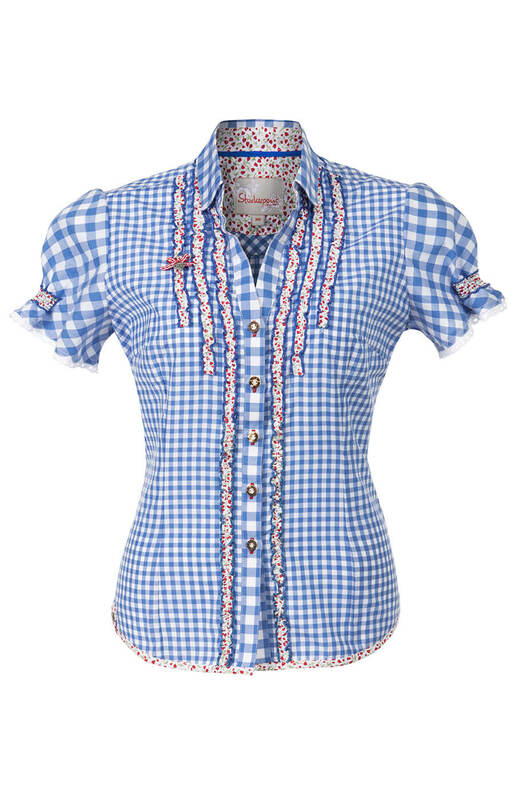 Emanuela women’s blue trachen blouse. 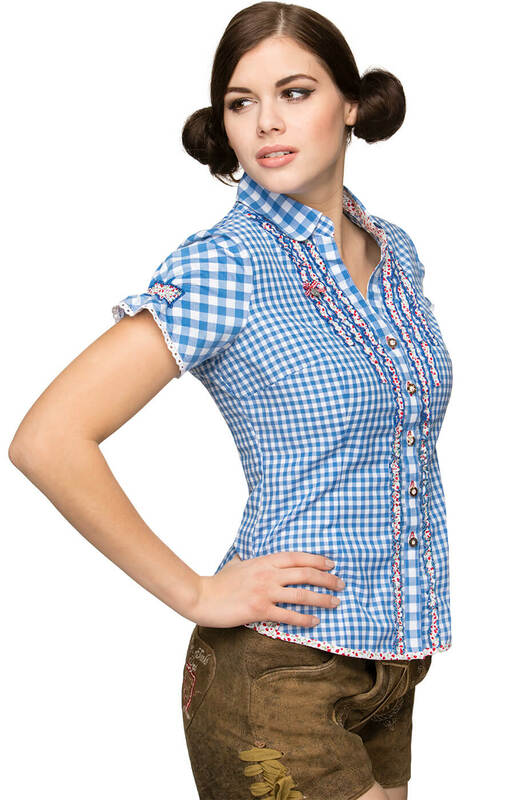 This bright blue-and-white-chequered short-sleeved blouse has been given plenty of authentically Bavarian touches, such as the white lace edging on the sleeves and white-and-red design running down the front. 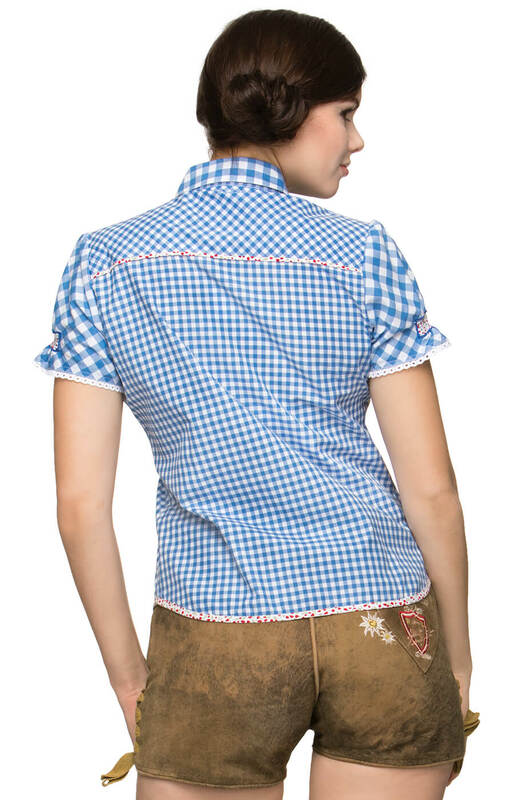 It is made from 100% cotton and just waiting to be teamed with traditional short Lederhosen for Oktoberfest. 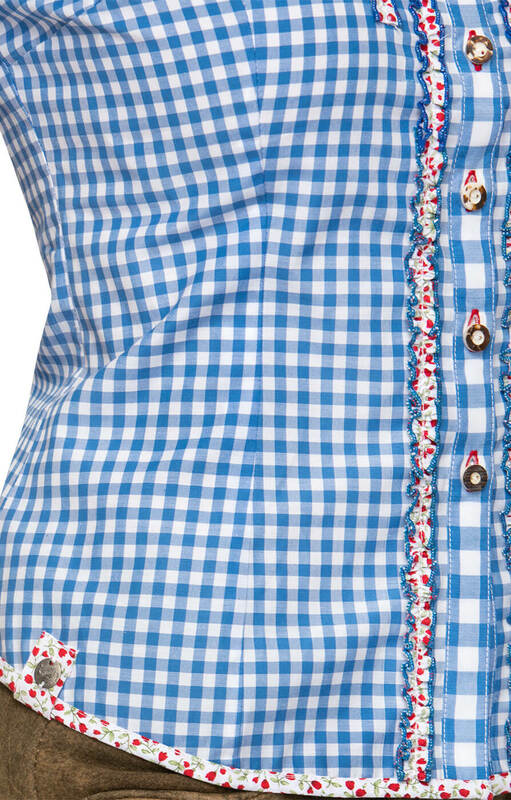 Die Bluse ist in echt viel schöner als auf dem Bild. War positiv überrascht. Gute Qualität und Verarbeitung. Echt empfehlenswert.